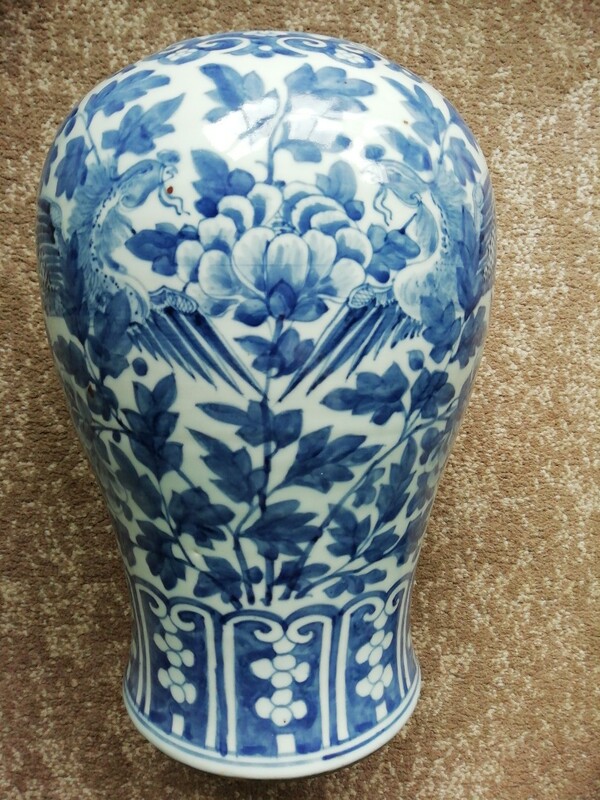 Hi, I was unsure of the age of this vase, as I though it was either 18th or 19th century. But I also wondered if this was for export or the Chinese market. Your vase with contending phoenixes amidst peony decoration is often called a "phoenix tail" or "yen yen" (less often "yan yan") vase. This one has lost its neck at the luting joint. Characteristics of the base and painting style would seem to fit with a late 19th century dating. 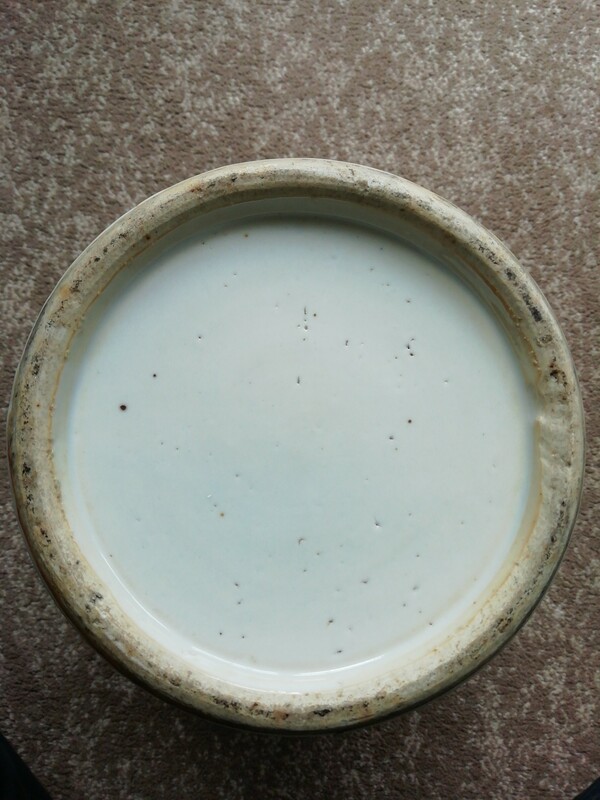 Also, the loss of the neck because of a failure at the luting joint is the kind of issue that I suspect was more common in the decades following the mid-1850s invasion and year-long occupation of Jingdezhen by the Taiping rebels. As far as I know, quality and demand were the main driving factors in Chinese exports to any given international market. So given this assumption, a vase like yours without damage wouldn't have been restricted to Chinese consumption (of course the loss of the neck due to a luting flaw is the kind of failure that might not occur for years after manufacture). 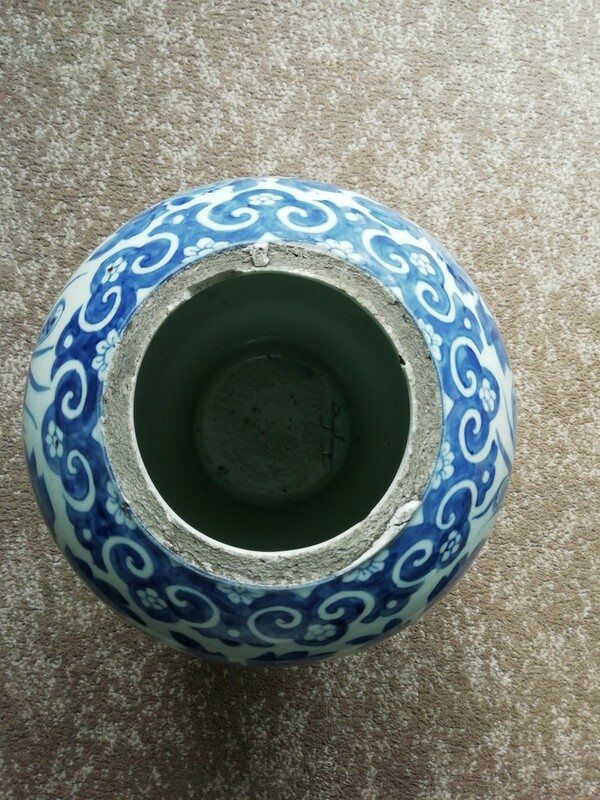 Check the link below for a look at a complete vase with somewhat similar borders to yours which sold for the euro equivalent of about US$340.00 a couple of years ago in the Netherlands.